Training an algorithm to predict future outcomes, using a PCA algorithm to uncover clients’ personality traits, uploading a corpus of text to extract sentiment and grouping 650 000 lines of CRM and weblog data to cluster clients with machine learning all sounded like unreachable rocket science to me a while ago. Now I do it as easily as I use Excel or Illustrator. They are my new secret weapons. And I’m in no way a data scientist. 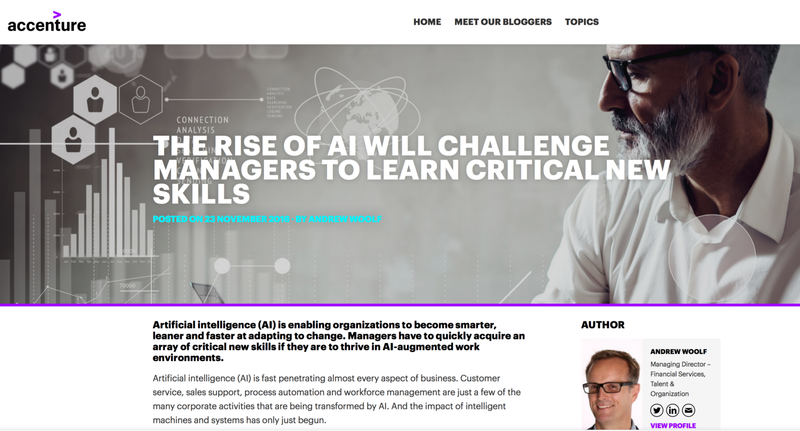 In 5 years “proficient in machine learning” will be a must-have on any manager’s resume (just like project management or strategic thinking/analytical thinking is today). 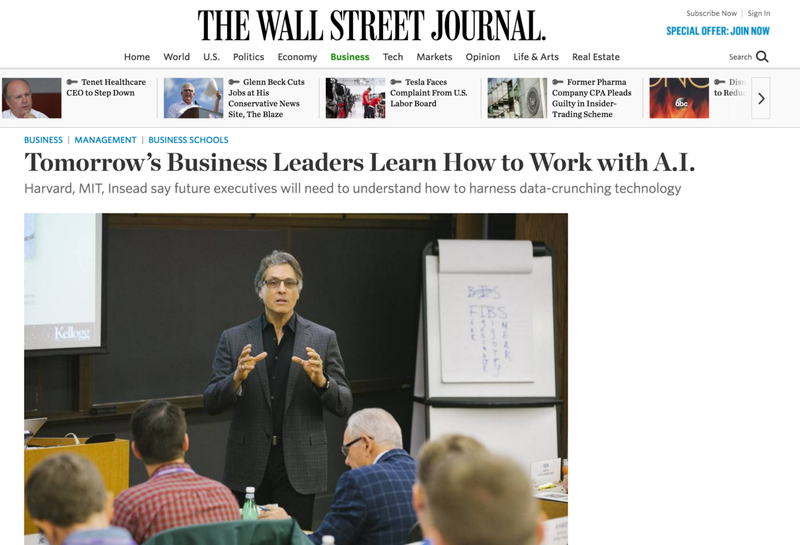 Harvard Business Review says “The most important general-purpose technology of our era is artificial intelligence, particularly machine learning (ML). But for now it’s still a rare skill, a strong competitive advantage that only early adopters hold. And this might surprise you, but it’s already within arm’s reach. Not only do I now personally possess these new skills, but I now view the world differently. It’s changed my brain a bit. As our lead data scientist Bernardo Nunes puts it…I’ve invested in a “growth option”: Imagine it’s 1851 and you’re in the Yukon valley. Some people have bought a gold claim and will strike it rich. Some people haven’t and will watch the others get lucky. I’ve bought a gold claim. It’s an option for growth in the future. ..and I’m already striking gold. Do you want to learn how Trump targeted personality types in his 2016 campaign? Do you want to learn how to predict whether a lead will sign up or not? 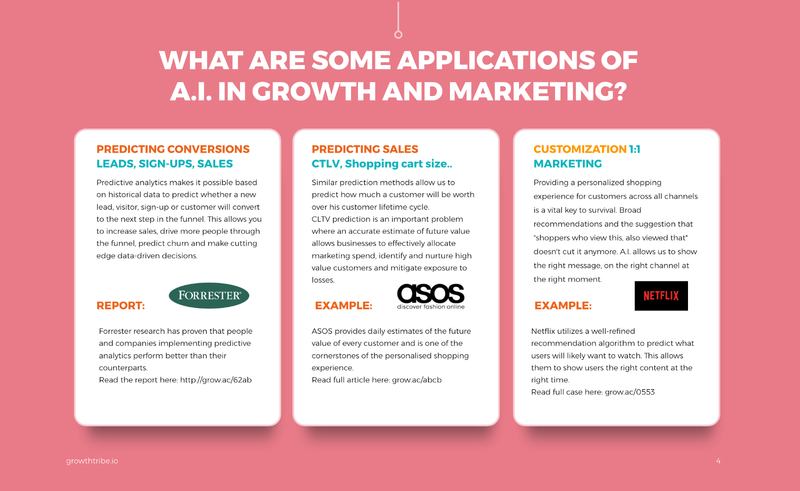 Do you want to learn how ASOS predicts the customer lifetime value of their clients? Do you want to understand how Amazon creates its recommendations engines? It’s possible now. Three years ago, computers weren’t better than humans at recognising images, algorithms were not so openly available, computational power was still on the edge, collecting data was not as easy and R and Python were completely necessary to start using A.I. for work. The correct timing is right now. Four to five years from now, this stuff will be as common as using email at work. It will be necessary and less special. The correct timing for you is right now. This stuff isn’t magic and in a “the future is now” cliché-kind-of-way you’re on the receiving end of this technology every single day. It decides if your incoming email is spam or not, if you’re eligible for a loan or not, if your parole should be granted, if that person on the dating app is a good match for you, what products we should recommend you to buy, what shows you’re likely to enjoy watching next, what turn the self-driving car should take, what score a business lead should have and even down to the music suggestions you’re listening to on Spotify, Siri directing you to the nearest gas station and the financial reports you’re reading. So the future isn’t now…the future is yesterday. This stuff is absolutely not magic and it’s actually not even that complicated. 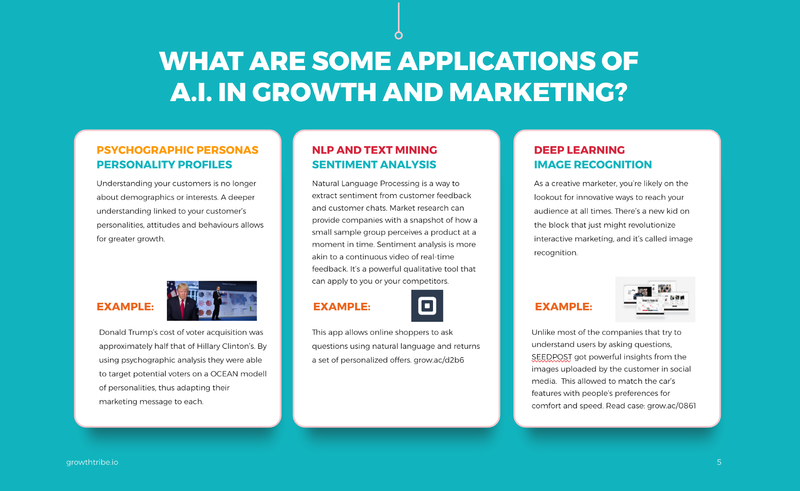 Things like machine learning, neural networks, unsupervised learning, logistic regressions, deep learning, k-means algorithms, A.I., sentiment analysis, predictive analytics or image recognition shouldn’t scare you. If they don’t, then don’t keep reading, you’re already up to speed. But if they still make you feel uneasy and you’re not sure what they mean, what they are used for or exactly what the differences are, it’s actually not that complicated. Don’t be too impressed. The timing is right now. 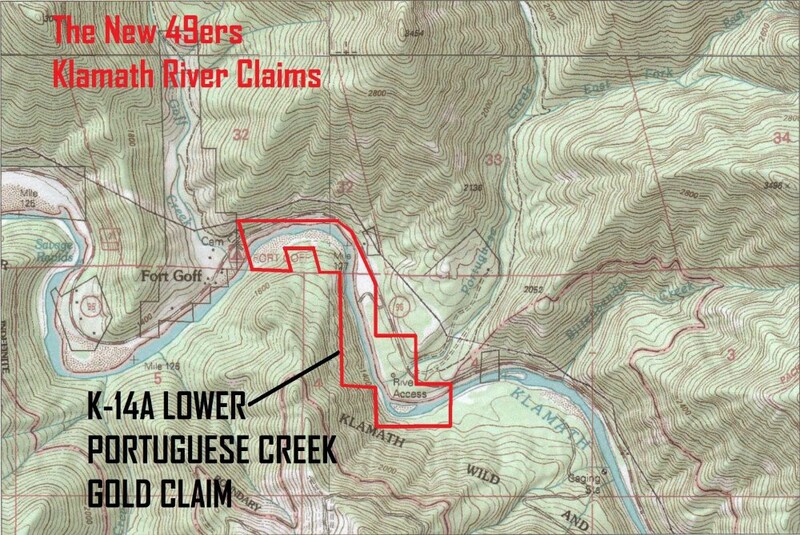 Buy that gold claim or wait out the gold rush. 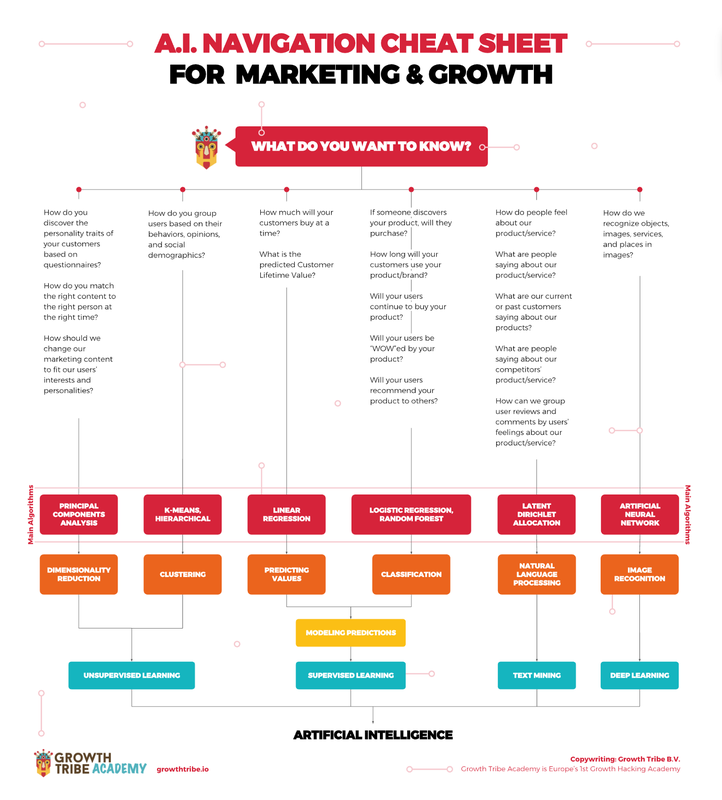 Some of you may want to take things one step further…This is precisely the reason why at Growth Tribe we’ve worked relentlessly over the past 4–6 months to build the world’s first A.I. for Marketing and Growth Course. Because everyone should have this skill and it shouldn’t take more than 2 days of your precious time to start to understand and apply it yourself, without needing a single line of code. 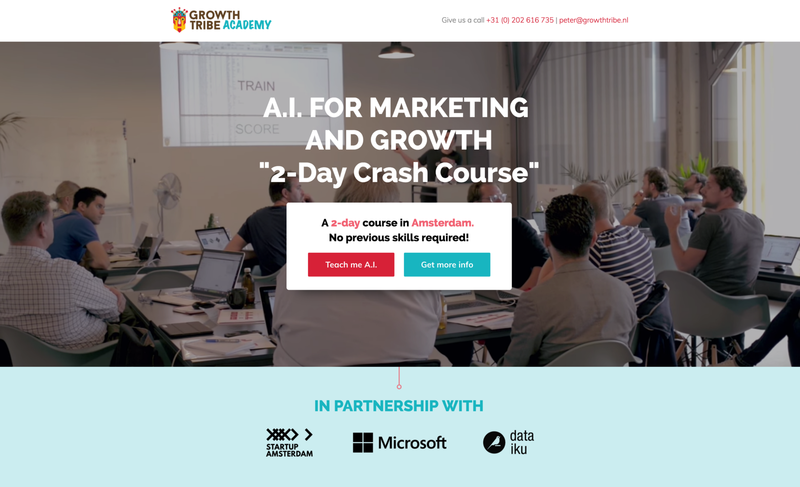 We’re currently offering this course only in Amsterdam (soon in London). If you can’t make it to our courses, we’re also planning on building an email course that might be released in the near future. So I’m curious….will you buy the gold, or sit out the rush?! And… How do you stand on this? I’d love to go into discussion with you in the comments. @darnocks is Head of Growth & Co-founder @growthtribe (growthtribe.io).. teaching Machine Learning to people who can’t code..on weekends he explores GIFs.